It is not surprising that the recent announcement that witnesses will soon be able to give evidence to the courts anonymously has been well received, given the current escalation in violent crime. However, the legislative proposal is by no means a silver bullet for our crime problems and may even cause more problems than it hopes to solve. While it is easy to think that witnesses to crime are upstanding, decent members of the community that are just too afraid to come forward because of perceived threats, that is not always the case. People that see, or for that matter don’t see, often have their own motivation for saying and doing or not saying and doing certain things when it comes to crime. There are those among us, sadly, that will pervert the criminal justice system to meet their own ends and the cloak of anonymity designed to protect the innocent witness could very easily be exploited by those with reasons to falsely accuse others. If the police are using anonymous witness testimony to help them bolster a case where forensic and circumstantial evidence also points to the guilt of an individual there will be less cause for alarm, but where a case will depend greatly on that testimony of one anonymous witness the justice system will need to tread very carefully. The very precious and fundamental right all of us have to defend ourselves in court should not be undermined because of gang violence. Those charged must be able to cross examine their accusers to ensure justice is done through a fair trial. The use of anonymous witnesses in cases where the testimony is of the utmost integrity will still have to stand up to scrutiny by the Court of Appeal, and in those where their evidence is discredited a defendant must be allowed to point out to the court the reasons why a witnesses may be offering false testimony, otherwise the fundamental issues of fairness and justice will be undermined — something that should cause all of us alarm. Nor is this just a question of protecting the basic human right to a fair trial but it also goes to the heart of the security of convictions. The police cannot be allowed to think their case is over because they have a witness prepared to say from behind a sheet who did the shooting — they need more. In many Grand Court cases the integrity of exhibits, the thoroughness of investigations and the general pursuit of evidence and motive by the police have often been called into question, opening the door for doubt in the collective mind of the jury even in what appeared to be open and shut cases. Given the increasing number of shootings on the island and the historic precedent that says witnesses and jurors are at risk protecting their identity is important. Police do need eyewitness accounts to help convictions but it is far better when those accounts can stand up to scrutiny in court or, better still, lead investigators to the forensic and circumstantial evidence that makes convictions more solid. There are a number of areas of weakness within the RCIPS which need to be addressed through the necessary training and improvements in the quality of policing before civil liberties are attacked. 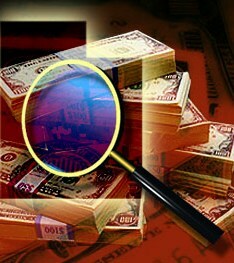 The island is also in desperate need of its own forensic lab to protect evidence when it is found. The police need to be trained in how to conduct taped and audio interviews as soon as possible to protect the evidence they gather from suspects as much as to protect those they arrest, something made very clear in the latest Grand Court trial. The introduction of legislation to allow anonymous testimony in the UK has been accompanied by changes to legislation in the rules that govern the way police do their job, changes that have not yet reached the Cayman Islands. Without the safety net that comes with a modernised and highly trained police service, tools such as this anonymity proposal can easily be exploited by both police and witnesses, which in the end may achieve the opposite of the desired result. Allowing a genuine gunman to walk free because of technicalities in the way testimony was taken and presented or having a conviction overturned for the same reason will leave the community back at square one. Unfortunately, the country’s resources are currently strained but the need for more highly trained police has never been more pressing than it is at the moment. Legislative changes that challenge the basic human right to a fair trial cannot be sacrificed as a substitute to solid police work and evidence collection. Moreover, demonstrating to the community that the RCIPS is not leaking information and finding the weapons would be considerably more valuable. Genuine and anonymous intelligence that leads the police to the smoking gun will be a lot more convincing to a jury than the distorted voice of a scared or, even worse, a vindictive witness. (CNS): As the Legislative Assembly resumes this week, the leader of the opposition has filed a motion asking government not to sell off public assets. The People’s Progressive Movement says it wants the government to enter into negotiations with the UK to spread the deficit over the next three years instead of selling the new government building. Taking advantage of a swing in public opinion against some of current government policy, the PPM is also calling a public meeting on Monday evening to set out its opposition on the policy of divestment as well as immigration changes and the opposition’s goal of a co-ordinated national crime strategy. The opposition has filed four motions to be debated in the next sitting, and the party will also be speaking out against some of the proposed immigration changes when the country’s parliament opens on Wednesday. In preparation, the PPM is inviting the wider community to a public meeting on Monday evening (22 February) to discuss its proposals on crime and its opposition to current government policy, and in particular the proposed sale of the new government office accommodation building. 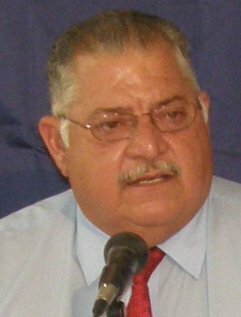 Since the United Democratic Party brought its 2009/10 budget to the LA in October the opposition leader has said the government should not attempt to reduce its deficit in one financial year but, like other countries hit by the global economic slump, aim to close the budget gap over a period of three years. As a result, the opposition has now filed a motion to stop government selling the building. After an official ‘for sale’ announcement was made last week, Kurt Tibbetts said it would prove to be a very short term gain that would lead to a far greater long term loss for government coffers. Tibbetts has proposed that government reconsiders the proposal to balance the budget by divestment of assets, and in particular this building, and instead enter into discussions with the Foreign and Commonwealth Office to agree on a plan for the CIG budget deficit to be eliminated over three years without the need to dispose of any government assets. Pointing out the UK’s Overseas Territories minister’s own concerns about selling off publicly owned property, Tibbetts quoted from Chris Bryant’s letter to the premier at the time when the UDP was putting together the 2009/10 budget in which he pointed out to McKeeva Bush the pitfalls of such a plan. Although the premier has persistently blamed the opposition for the dire financial circumstance surrounding government revenue, the PPM has countered those accusations by pointing to the world’s greatest economic slump since the depression and that the need to sell the new glass house has been forced on the current administration by their own hand because of their overly ambitious goal to remove the deficit in one year instead of spreading the debt over a longer time period. The opposition will be holdinga public meeting at the South Sound Community Centre at 7:30pm. Vote in the CNS online poll: Should the government sell the new government office accommodation building? (CNS): Almost five and a half years after it was devastated by Hurricane Ivan, the former Hyatt hotel remains a derelict crumbling ruin as a result of continuing legal battles between the insurance company and the owners of the hotel. Despite pressure from the previous administration and threats from the current government to significantly increase the daily fines for failure to maintain upkeep of a property, the owners say the issue is in the hands of the court as the insurance company has refused to pay the agreed settlement of over $18 million, ordered more than 18 months ago. In a statement this week, the owners of the property, Embassy Investments, said that Houston Casualty Company’s co-insurers (including several Lloyds of London syndicates), Wurttembergische Versicherung AG and Ecclesiastical Insurance Office PLC have still not paid the settlement of US$18,223,474, which was, the owners said, agreed with them on 11 July 2008. The owners said that they have instructed Campbells, the hotel’s attorneys, to enforce payment of the agreed settlement in the Cayman Court as quickly and effectively as possible. “It remains to be seen how quickly and effectively Campbells will actually be able to achieve this following the Cayman Court’s public statement about dealing with this matter properly and promptly,” a spokesperson for Grand Cayman Beach Suites, the hotel’s new name said. Justice Alex Henderson decided in favour of the hotel regarding its 9 October 2007 application, which eventually led to the settlement figure being agreed with Houston Casualty Company’s co-insurers on 11 July 2008. The hotel has come in for severe criticism, not just as an eyesore but also as an environmental risk. Property owners around the area, especially at the Britannia development, have been particularly critical as they say the abandoned hotel is negatively impacting the value of their properties. The owner of the hotel, including the renovated Beach Suites, is Asif Bhatia, one of the ritchest hotel owners in the world and a frequent name on the world’s rich lists. The dispute over the hotel insurance settlement has been in the Cayman courts since the passing of Hurricane Ivan in 2004. Although the owners quickly cleaned, dried and renovated the Beach Suites on the south side of the property, the remaining 230 rooms on the north side of the West Bay Road, with some 230 rooms, has remained closed since the storm, fallng further and further into dereliction. According to a letter from Campbells to the insurance firm’s attorneys, the issue seems to rest on a further related claim by Embassy, which the insurers had at one point insisted should be withdrawn before the payment regarding the actually property damage claim would be settled. The letter, however, indicates that the parties may now have agreed to sever the two issues and deal with the contractual claim in a separate forum, paving the way for the Grand Court settlement of $18 million plus to be paid to the owners. (CNS): In the fourth of a five-part seminar series for independent directors of Cayman Island investment funds a local financial organisation will be offering them an opportunity to hear from the horses’ mouths what fund investors want to see from them in order to invest. The Alternative Investment Management Association (AIMA) will be featuring Terry Raby of Universities Superannuation Scheme, Greg Robbins of Mesirow Advanced Strategies and Eric Maidenhead of UBS Global Asset Management. These speakers each represent a multi-billion dollar fiduciary investor and will give their opinions on what the Cayman Islands can do to remain attractive to portfolio fund investors. The three fiduciary investors will share their experiences of working with independent directors to Cayman funds – both good and bad. Yolanda McCoy and RJ Berry from the Cayman Islands Monetary Authority will also be on the panel to provide the Cayman regulator’s point of view. This presentation and working lunch will immediately follow the GAIM Ops Cayman conference at the Ritz Carlton Grand Cayman on Wednesday 3 March 2010 at 12:30 pm and is open free of charge to all AIMA members and GAIM Cayman delegates. The first three seminars in the series covered issues that fund directors should consider when interacting with fund administrators, auditors and attorneys and looked at the pitfalls and challenges facing independent directors when appointed to a fund domiciled in the Cayman Islands. Those interested in registering for the seminar are invited to RSVP to Abbie McMillan at AMcMillan@bcsl.ky For more information about AIMA, including AIMA membership is available on www.aima.org. (CNS): The topical issues of culture, social development and identity will be the subject of academic discussion next month when the UCCI hosts the Caribbean Conference on Literature, Culture, and Identity. This is the first time that such a broad range of representatives from the Cayman Islands community and internationally will come together to discuss the these issues on an accademic platform. The two-day conference begins on Thursday, 11 March, with a reception hosted by the National Museum at 5pm, followed by the formal opening at 6 pm. The keynote speaker will be Dr Brian Meeks, director of the Sir Arthur Lewis Centre for Social and Economic Studies at the University of the West Indies, Mona and an eminent author and scholar in the areas of politics and culture. Professor of Social and Political Change and one of the founders of the Centre of Caribbean Thought , he is also the former head of UWI’s Department of Government and has written extensively on Caribbean politics and political theory and culture. Among his many accomplishments, Dr. Meeks has completed visiting appointments at several universities throughout the United States, including Florida International University in Miami; Stanford, Brown, and Cambridge universities; and Michigan State University. Following Dr. Meeks’ Keynote Address on Thursday evening, the conference begins a programme of presentations on Friday morning, from 9 am. A slate of some thirty presenters, many drawn from the local community, is scheduled mainly for panel discussions in breakout sessions the UCCI said. (ABC 27 News): Federal prosecutors say a Shippensburg builder and former CPA and auditor failed to pay income taxes since 1996 but deposited nearly $3 million of business income in a bank account in the Cayman Islands. A grand jury has returned a six count indictment against 46-year-old Troy A. Beam for tax fraud, according to U.S. Attorney Dennis Pfannenschmidt. Beam is specifically charged with endeavoring to obstruct and impede the IRS, attempted income tax evasion and failure to file federal income tax returns, Pfannenschmidt said.